The time has come…. This is my last blog update of 2018 and the new year is just a couple of days away. That means that it is time to reflect on my accomplishments and progress in 2018 and share my goals for 2019. The year that is concluding was really big for me and I am hoping for just as big, albeit a bit different, 2019. Continue my Operation Melt journey and reach the 100-pound mark and beyond as well as starting to tone my body. I am calling it a 77 pound loss in 2017 and I know that I can NOT achieve the same in 2018, but I can hit 25-50 more pounds and move into toning and maintaining mode. Participate in my first organized run by or at Oktoberfest. Continue expanding my commitment to writing and getting published – through the site, social media and ultimate I want to write 1 or 2 different books. Be a presenter at Project Management Professional Development Day. Change jobs and move to a new company. Recommit to maintaining friendships which I have historically relied on autopilot for in the past. Figure out a new board or other volunteer organization to join where I have passion and knowledge that is helpful. Very interesting to look back a year at what I hoped to accomplish this year. It is particularly rewarding when some of those goals that seemed so big when I first wrote them were not only met but exceeded. Finished my 100 pound weight loss in March which was just 9 months into my journey and 3 months ahead of schedule. I am ending the year down 132 pounds which means I lost 55 pounds this year. Plus I grew and toned muscles and achieved 12% body fat which means I was adding weight at the same time! I participated in my first organized run in June instead of my September goal. But I didn’t stop there! I did run the Oktoberfest race that was my goal and many others too! In all I ran 5 official 5k races, a 4-miler, a 10k and I finished a freaking half marathon! Instead of running one race I became an athlete this year! My commitment to writing continued more than I had even expected. I did write my book about my journey and it is being edited and I hope to release it in the spring. 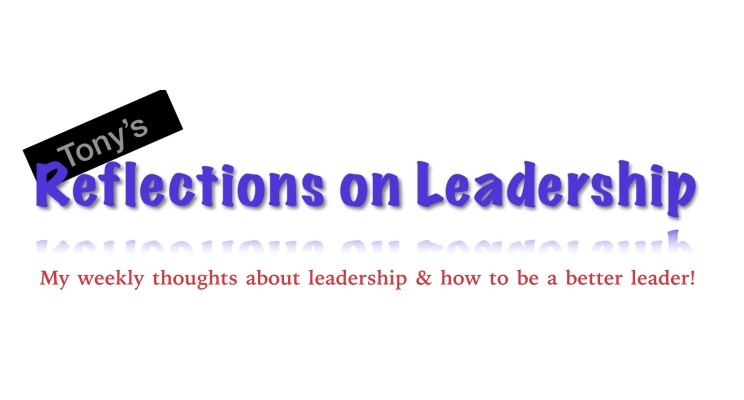 I also relaunched my Reflections on Leadership series in a big way and I publish it weekly, I also launched a weekly Healthy Hacks series, a weekly blog update on my journey and daily social media updates. I have gone so far as to start referring to myself as “a writer” if you can believe it! I did NOT present at Professional Development Day though I applied to do so but never heard back. Guess I need to take another shot at that one. I did leave my old job at the end of January and treated myself to a nearly 5 months sabbatical where I invested in other pursuits. Then in June I started a new consulting role helping our State of Ohio government. My sabbatical also afforded me some self-exploration and soul searching time which helped me learn more about how I want to grow my career. There was a fair amount of additional home remodeling and repair but not the progress we wanted to make. I encountered some setbacks and made limited progress with my “be a better friend” goal. The various job and life changes certainly impacted my progress there. I did make a little progress with my “giving back” goal but nothing super notable. Clearly it was a big year and lots of stuff happened so I wanted to sum it up with a brief retrospective. The following are my conclusions about the top 3 things that went well this year and the top 3 things that I could have done better. I achieved way more in my fitness journey than I had ever expected or thought possible for my entire life. I progressed from obese to an athlete who has accomplished major feats …. I ran a half marathon just 16 months after being 325 pounds! I learned that I have superpowers and really can accomplish anything that is important to me. I have a voice, a story and something to contribute! The support and the love of the people around me is greater than I ever knew and I am truly lucky to have such great people in my life! I was a bit too self-absorbed with my transformation and I wasn’t as good of a husband, friend, mentor or professional as I could have been. Unexpected changes impacted me (and Liz too) with the loss of my job, some of our favorite hangouts and some friends with them. I fell short of some of my original goals and those created along the way and felt disappointed in myself for not achieving the bigger and bigger goals. Sometimes this prevented me from being happy with and proud of my progress even though I KILLED IT in 2018. Since 2018 is effectively done it is time to define my goals for 2019. Given what I have learned over the past 18 months goal-setting has become a pretty serious exercise for me. These goals need to be big and motivating for me because they are going to carry me through the full year. These aren’t just cliché new years resolutions that are out the window before Valentine’s day! I want to make sure my 2019 goals are holistic and balanced and don’t just cover a single aspect of my life. So I have decided to borrow Zig Ziglar’s Wheel of Life as a framework for my goals this year. The Wheel of Life divides all of the aspects of life into 7 “spokes” of the wheel and then I will be defining SMART goals for each of the 7 sections. Here is how Ziglar defines each section. Your Social Life: This includes who you spend your time with as well as the things you spend your personal time doing. I am not going to share my goals in all of these sections in this post but I wanted to share the approach I am taking to setting my goals using this framework and that am setting goals in every section. My hope is balanced goals spanning every portion of my life versus a disproportionate focus in a single area like in 2018. In addition to setting goals in each of the Wheel of Life sections I wanted to define an overall theme for the year. As I shared earlier, I defined a theme for 2018 late in the game. After the 2018 year packed full of transformation I am actually hoping for a little bit less transformation in 2019. That doesn’t mean that I am planning to move backwards by any means. But even the caterpillar eventually emerges from the chrysalis, unfolds its wings and flies away as a beautiful butterfly. I think my theme for 2019 is going to me…. 2019: Be It! Throughout 2018 (and really my whole life) I have spent tons of energy building, developing and transforming myself. I have worked to convince other people that I belong at the table. I also had to convince myself that I was good enough. No more! I am good enough. I am worth it. I am qualified. So I am going to spend 2019 unapologetically being the best at all of the roles in my life. I have nothing to prove to anybody. Whether it is an athlete, a husband, a friend, a Christian or a leader I am going to be it and be my best at it! On a side note I cannot help but think of Rocky Horror Picture Show with my theme. Very touching when Frank-N-Furter sings Don’t Dream It, Be It and that is a small part of the inspiration for this theme. Given the theme of this blog I am going to go ahead and share one of the segments of my wheel of live goals – physical. In this space 2019 is going to be a bit different but will built on top of what I did in 2018. Physical: be a fit, healthy and impressive amateur athlete capable of significant and inspiring achievements. 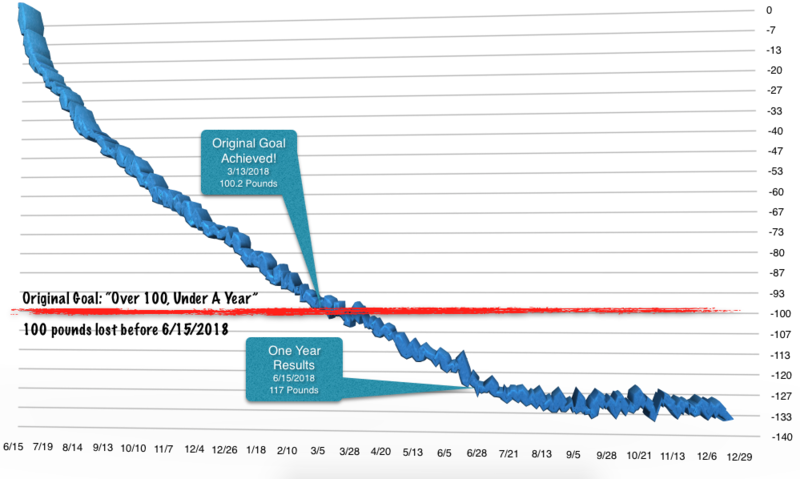 End my weight loss journey and maintain a healthy, comfortable weight between 189 and 199 pounds using the techniques that helped me be successful (tracking, good decisions). Continue to improve as a runner by running 2 half marathons (April, October) and average one race per month with continually improving times. Get to a 5k pace consistently under 9 minutes by summer. Build a more structured workout routine and continue to build and shape my body while setting new personal records. Try new things including yoga, CrossFit, climbing and other activities. The very first step I will take in pursuit of my 2019 goals will happen just after midnight on New Years Eve. We will count down to the new year and Liz and I will kiss and toast at midnight. Immediately after that I am going to update the settings in my food tracking app. I am going to change my goal from weight loss to weight maintenance or just a very small amount of loss. My weight loss journey is done and it is maintenance time! Then I am going to run a 5k race just a few hours later. That is the only goal I am going to share for now and it is going to continue to take shape over the next few weeks. I know I didn’t share much about my fitness journey progress this week. I will just say that it was a tough week of bad habits and holiday indulgences including way too much sodium. I had wild swings in weight. I had a bit of a cold which is less than ideal. There was a good workout and a few ok runs including more than a quarter marathon on Christmas morning. Plus I got results from my follow-up bloodwork and everything is either good or excellent! Tis the season, right? One of the best things about the holiday season is that we get to hear all of those familiar old songs in their classic and updated versions. You know all of the words, you sing along and enjoy the one time per year when you get to hear them. People love them so much that that “one time per year” just keeps expanding – or maybe that is a retail-driven thing. Have you ever paused to reflect on the messages contained within Christmas carols? There are many important messages contained within Christmas carols. Some of these lessons are even leadership related lessons. For the rest of the year I will be focusing on the leadership lessons contained within popular Christmas carols in a series I am calling Leadership Carols. So far I have talked about the hidden leadership lessons in Rudolph (look for and shine a light on each person’s talents) and Frosty (make the most of each day). Both were great lessons but I think I have saved the best for last. Today I want to discuss an important leadership lesson contained in The Little Drummer Boy. A new king was born and everybody rejoiced. They were coming to see him and bring their finest gifts to honor him. Unfortunately one poor boy couldn’t afford to bring a gift to the new king. Instead of bringing a tangible gift he made an offer to play his drum. The king’s mother (Mary) nodded and allowed the boy to play his drum. The boy played his best for the new king and made the little boy smile. It turns out that he did have a gift to give after all and it was one that was appreciated. As leaders we are often focused on self-improvement and are never satisfied staying in one place without growth. But this impatience cannot turn into constantly focusing on our limitations, our weaknesses and what we don’t have. Instead of focusing on our weaknesses we need to focus on our strengths and how to continue to grow them and apply them in new ways. The talents that you have are unique to you and are important. You are enough! Call to Action: find your drum and play it loud! Merry Christmas! 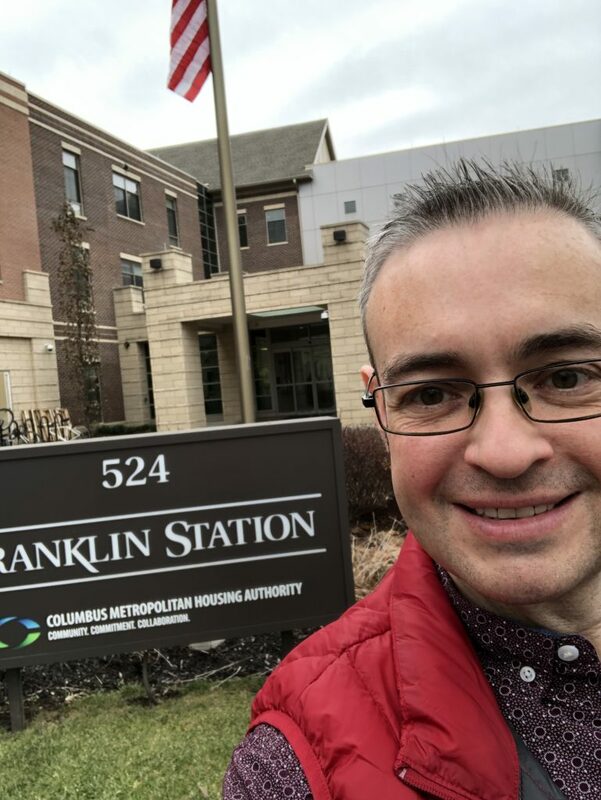 After celebrating the 18-month anniversary of the decision that changed my life I had a big week in my journey this week. I had some new wins and a little bit of a reality check about where I am in this journey. All of these things are building up to me defining my 2019 fitness goals. 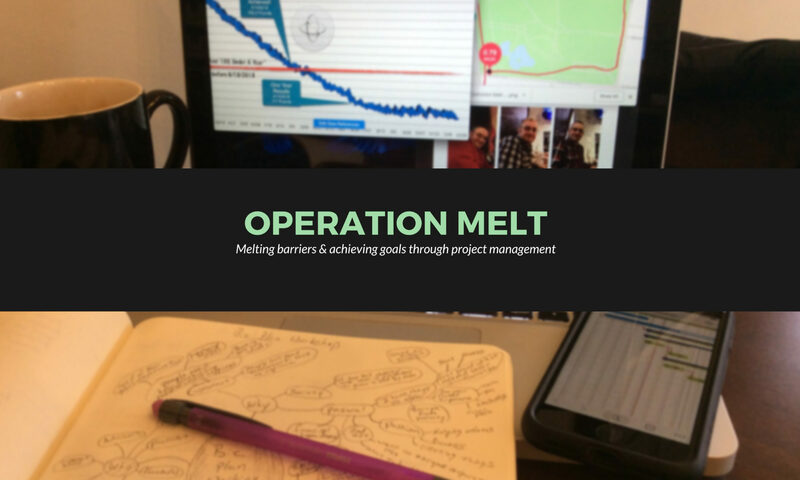 Every great project needs a steering committee of subject matter experts and advisors that help inform decision making; my Operation Melt project is no different. Throughout this week I had a variety of meetings with some people who I consider to be my steering committee. I had a follow up appointment with my doctor to check in on blood pressure, weight, general health and to draw blood to check in on progress. I had my weekly session with my trainer and we started with reassessing my body fat percentage and bicep size. I had a variety of discussions with my wife Liz to review the results from the other meetings. These meetings all helped me evaluate where I am in this journey and produced one of my new wins. In August I had my first every body fat percentage assessment with a 3-point caliper test at the gym with my trainer. At that point I had a body fat percentage of 17%. As I discussed last week this compares to a 40%-50% estimated body fat when I started this journey 18 months ago. So that was pretty impressive progress. This week’s assessment was even more impressive. I expected that I would be down 1% or 2% at the most over just 4 months. I was wrong… I was down 5%! I now have a body fat percentage of just 12%! So what does that mean? Well let’s look at the following table produced by the American Council on Exercise. This chart lists the average body fat percentage ranges for various categories of people. 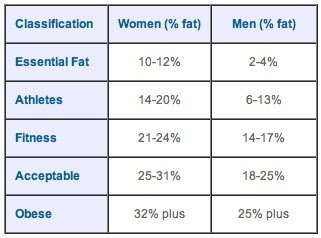 Based on this table my 12% body fat puts me firmly into the “athlete” category! Pretty damn exciting! My other victory this week was in the weight loss category. As I have talked about repeatedly my weight loss progress has slowed. I am trading fat for muscle and muscle weighs more so my weight really hasn’t budged much over the past few months. Plus I am at a low enough weight that I really shouldn’t expect big changes. As you can see in this graph my weight has pretty much leveled out. So you can imagine how surprised I was on Saturday morning when I stepped on the scale expecting my weight to fluctuate up a bit and I actually hit a new low weight. When I stepped on the scale my weight was down and I had achieved a new low weight. My weight on Saturday morning was 193.8 which is the first time I have gotten down to the 193s and puts me over the 131 pounds lost mark. So this means that I only have about 23 pounds of fat on my body! Despite that my BMI still lists me as overweight which is an indication of the flaws in the BMI calculation. I don’t expect this to be a big turning point or unlock to restarting weight loss but it was a fun milestone. My fitness journey originally kicked off after an appointment with my doctor on 6/15/2017. It was only fitting that I end this year and kick off these weeks of status evaluation and goal-setting with a return visit. To goals for my visit this week were to do a general check-in on my health and progress and to confirm that my blood pressure is self-regulating. Additionally I wanted to discuss some pains and questions I had. Finally this was the time to take some blood because my last blood work was done in that first appointment and we want to see how everything is progressing for me. I am happy to say that the blood draw was way more successful this time with less fat blocking my veins and there was not vein “digging” at all. Overall the appointment was great and everything was good news. Weight progress is obviously good since he hasn’t seen me for 3 months. Blood pressure is great and the medicine is definitely gone for good – been off meds for 3+ months. I will get the results of the blood in about a week. He also recommended that I start taking a yoga class to help protect joints and avoid pains. He gave me some advice about mistakes I am making at the gym and suggested rearranging the order of my longer workouts – I have been running too much before lifting heavy weights. My doctor and I discussed my weight progress and stalled weight loss and he concluded the same thing as me and that is that I may be at the floor. Plus my body composition is changing significantly so there is still fat loss but it is being replaced with muscle gain and that is heavier. He said there is no real way to know because each person’s body is unique and he gave me a warning about losing more. In order to lose more weight I may end up losing some muscle and I should try to prevent muscle loss for as long as possible. It is very likely that my weight loss journey is done at the end of this year. This does not mean that my fitness journey or Operation Melt is done by any means. This journey is just getting started and there are many things that I still want to accomplish and lots of room to grow and improve. There are only 8 days left in 2018 which means it is time to start setting 2019 goals. A big focus of this week will be defining those 2019 goals and I will be sharing next week. But the one thing I am planning NOT to include in these goals is additional weight loss. I will include a goal about maintaining my weight in the 189-199 range and will continue the discipline of tracking what I eat and weighing myself regularly. But I will not be trying to lose more weight. I feels strange thinking that my weight loss journey is coming to an end. This journey has defined me and been a big part of who I am for the past 18 months. I have made so much progress and am happy with what I have done so far. There was always going to be a stopping point and I knew that the loss would end. It is just hard to believe that day is upon me. I am looking forward to this next chapter and to defining and sharing my goals for 2019! In last week’s post I described the leadership lessons that are contained within the classic holiday song Rudolph the Red Nosed Reindeer. This week I will be sharing a similar take on another classic holiday character: Frosty the Snowman. With my strange brain I have always known Frosty to include a variety of very odd and semi-hidden themes. First is the Frankenstein like premise of bringing life to a being who isn’t meant to be alive. Then there is the theme about become aware of ones own mortality. But it wasn’t until recently that I connected the dots on the leadership message. For those who aren’t 100% familiar with the story of Frosty (which is maybe nobody) I will review. Frosty was a snowman that was built by some children. He started off as a traditional snowman with a corncob pipe and a button nose and his eyes made out of coal. Then there was a big surprise when the kids put the finishing touch, an old silk hat they found. When they placed it on his head he began to dance around and they were they surprised when, before their eyes, he came to life that day. The kids and Frosty spent the day playing together and having a good time. Unfortunately Frosty knew what his future was because he knew the sun was hot that day. But he made the most of the day and he said let’s run and we’ll have fun now before I melt away. A rather morbid, feel-good story when you think about it. This is the line, let’s run and we’ll have fun now before I melt away, is where we find our leadership lesson in Frosty. Leaders know that their time to make a big impact may be very limited. The limitation isn’t because we are going to melt away per se but more related to our environment. There is only so long that your stakeholders are patient as you learn the job. There is only so long that your team will stick around if their work isn’t fulfilling to them. There is only so long before external factors change your priorities. In short you have to make an impact and prove your value before you are out of time. A leader who I previously worked with had a great way of summarizing this. He said…. In America a person can win an election, put their hand on a bible and swear an oath. From that point on they ARE the president and aren’t learning to be the president. On day one as a leader you have to play the role and do it well. The clock is ticking before the hot sun melts always your credibility. How do great leaders manage this short time? They make the most out of every day as a leader. They are constantly pushing for bigger results, growing the talent and trying to run and have some fun at the same time. Great leaders don’t just sit and wait for things to come to them, they push to make things happen. They strive to be a better version of themselves every single day. 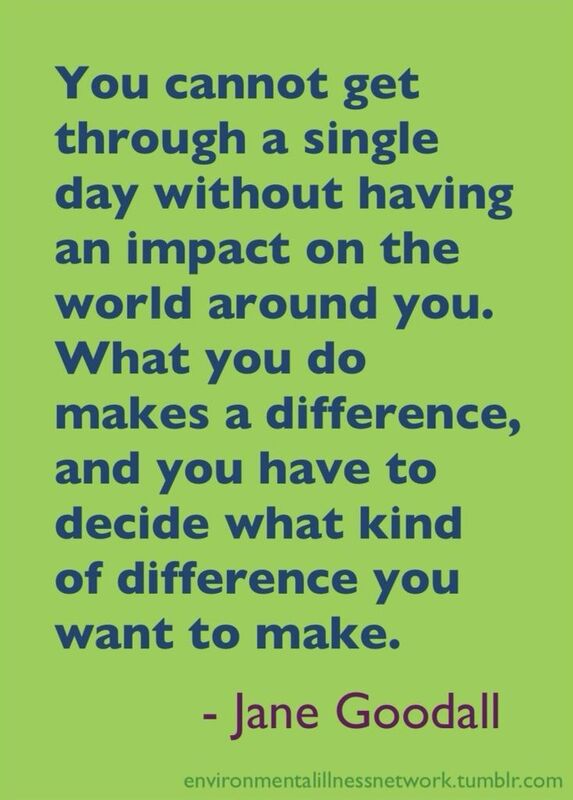 Call to Action: make an impact today! Then do it again tomorrow and the day after that. Look for ways to add value and ways to be of service to others. If you spend every day trying to be a servant to others you will continue to grow as a leader and prevent the hot sun from melting you away.